My Rights and Responsibilities - Lesson for students to discuss their rights/responsibilities in school. 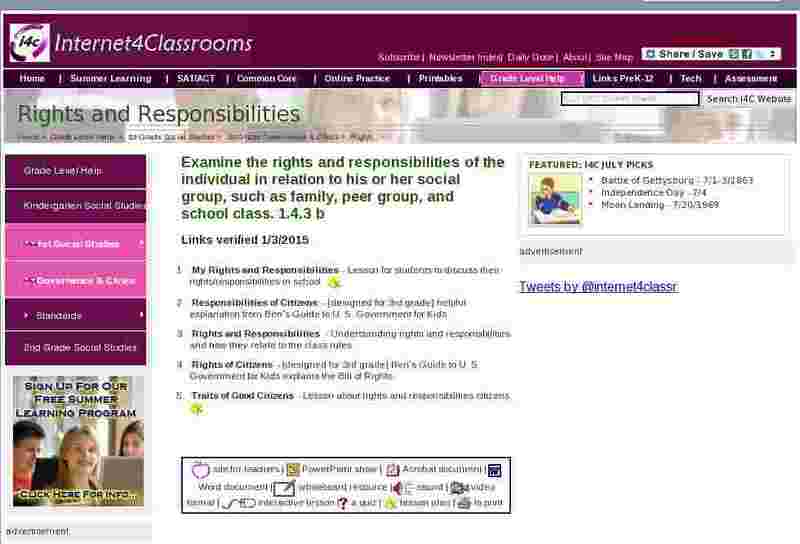 Rights and Responsibilities - Understanding rights and responsibilities and how they relate to the class rules. Traits of Good Citizens - Lesson about rights and responsibilities citizens.